$1,099,000 In the Heart of Vaughan! Close to Great Schools! "Bright Sun Filled House, Well maintained!" Luxury Detached Houses for Sale in the Heart Of Vaughan! Woodbridge 4 bedrooms 4 Bath! Ideal For Kids,Pets,Pool Or Large Garden. Well-Built & Well-Maintained, Excellent Condition.Spacious Lay-Out With Huge Rooms. 2 walk outs To Patio & Garden From Large Eat-In Kit & Family Room with Fireplace. Roof,Furnace & Cac In Great Working Order. Separate. Entrance To Large Finished Basement With Rec Rm,2nd Fireplace,Huge Kit,Sep Bath & Lrg Cantina. Close Walk To Stores, Transit & Excellent Schools! 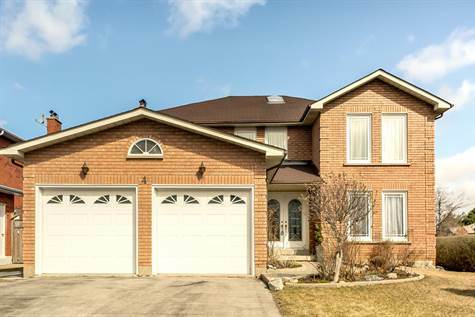 Looking for more great homes in the Vaughan Area? Call our talented sales department to help you find your dream home!